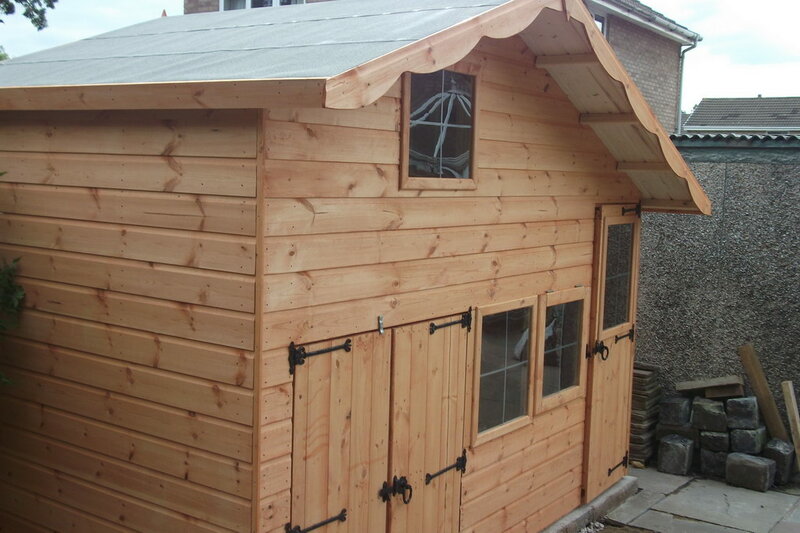 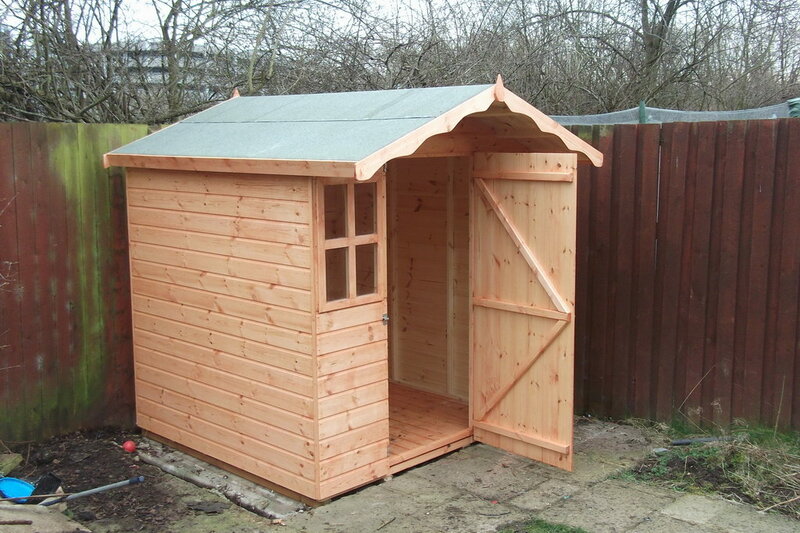 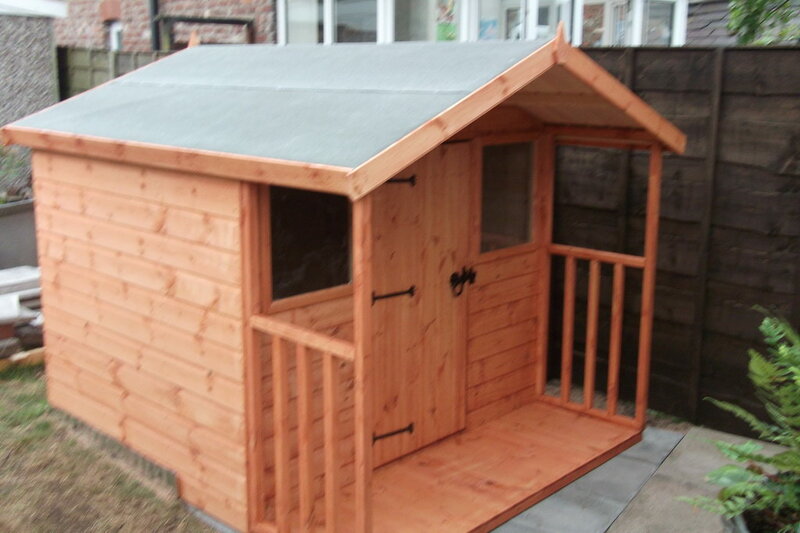 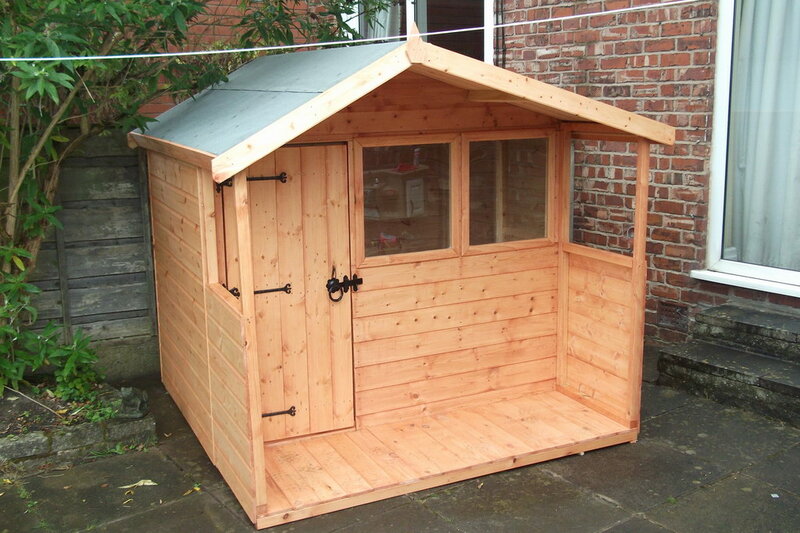 Our range of children’s wooden playhouses are designed to look beautiful and provide your children years of fun imaginative and creative play in your back garden. 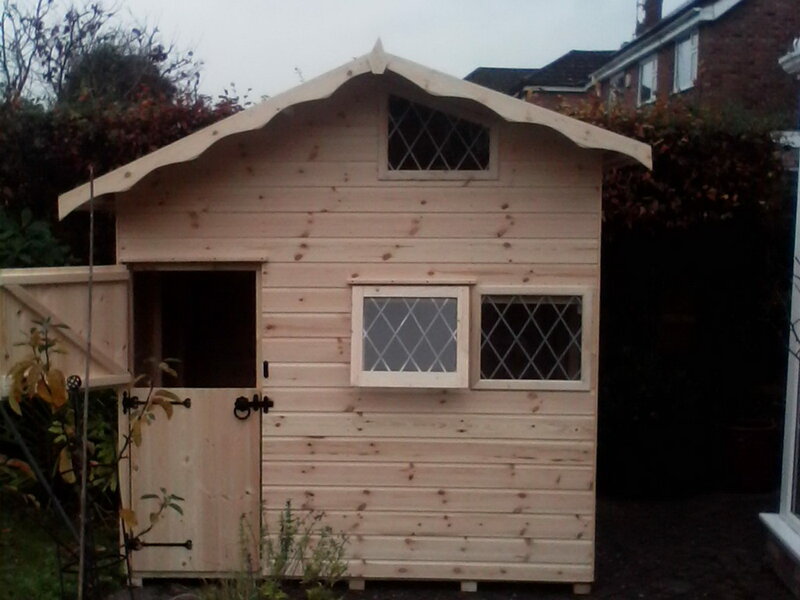 Our wooden playhouses are ideal for those with smaller gardens or town houses, and those with limited space for kids climbing frames. 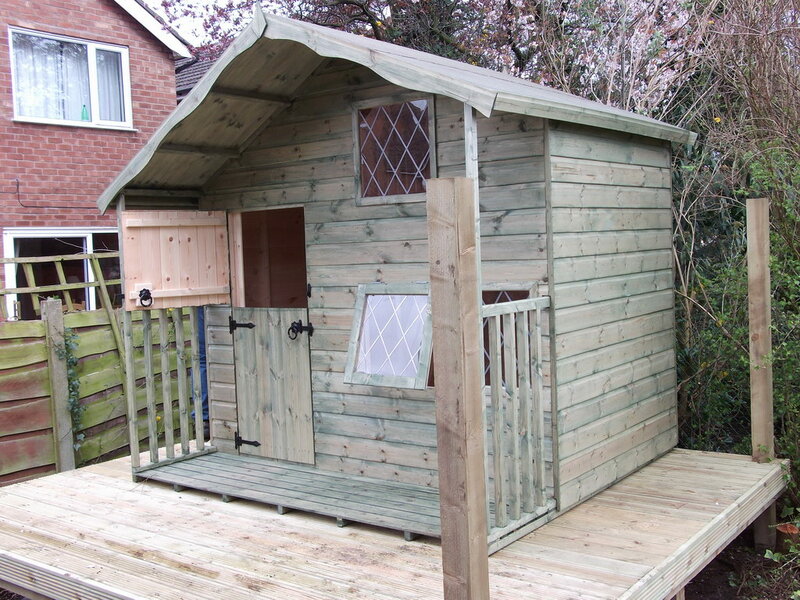 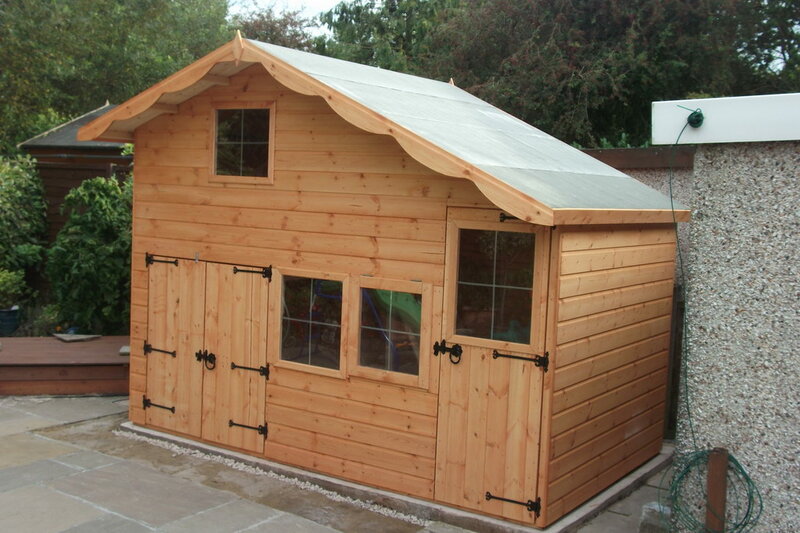 Each and every playhouse is made to order so customisations and individual sizes are easily incorporated into the design. 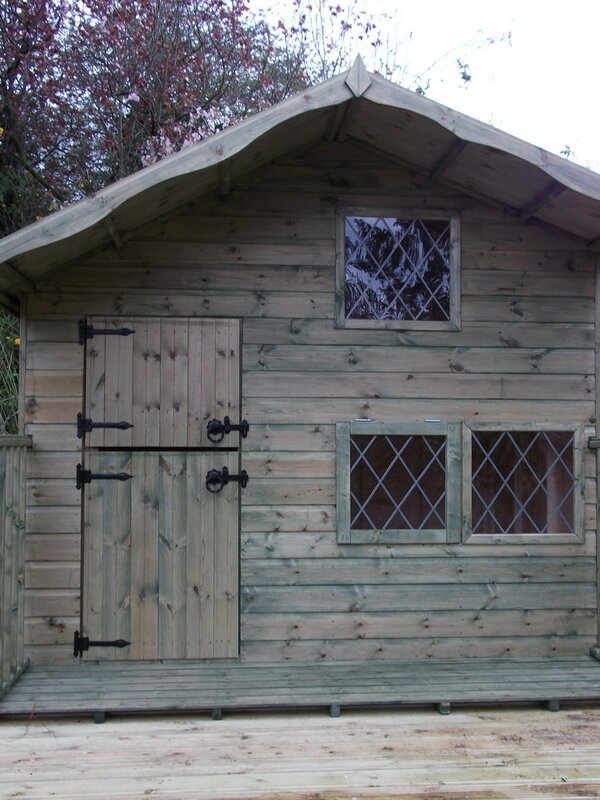 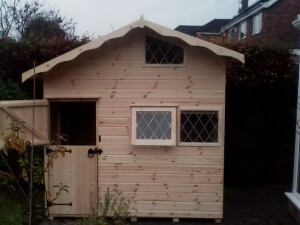 As well as the standard designs below, ShedsIn are happy to create a bespoke design with you so as to give your child a unique playhouse that no-one else will have. For safety reasons, all playhouses are fitted with persex windows.